Wouldn't it be nice to get your money back on the stuff laying around the house that you don't use? My new E-Book 10 simple ways to turn clutter in CASH gives you will show you how to do it. You can get your home clutter free and put cash back in your pocket. Using simple strategies you probably already know but not thinking about. The 7 chapters in this E-Book will not only motivate you to take action, but they tell you exactly what to do to achieve a clutter free home and putting back actual cash in your pocket. Are you ready to cash in on your clutter? Take the first step, free your space! Free your mind and put cash back in your pocket. 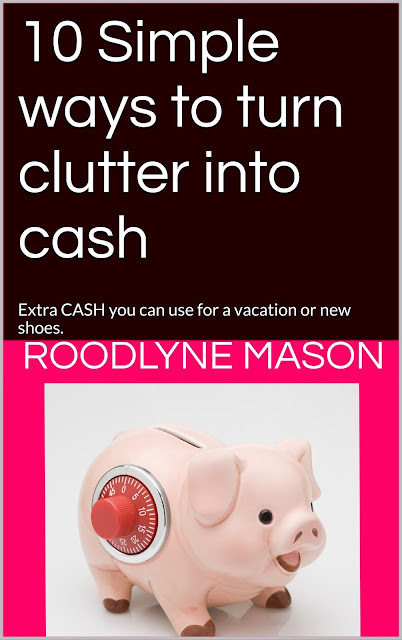 10 simple ways to turn clutter in CASH is available for ONLY $2.99 for a limited time! Don't miss out on practical advice that will change your lives!